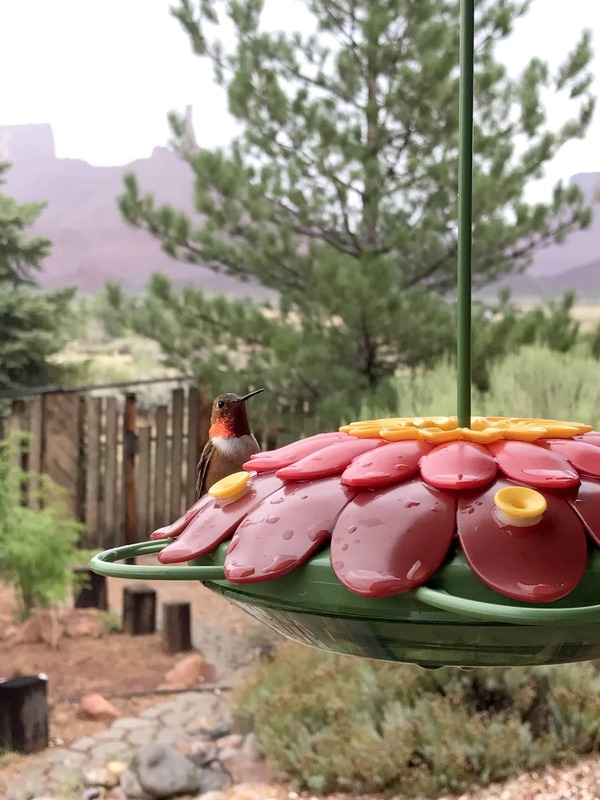 Every year in April, hummingbirds arrive in Castle Valley. At first it’s only one species, the black-chinned hummingbird. 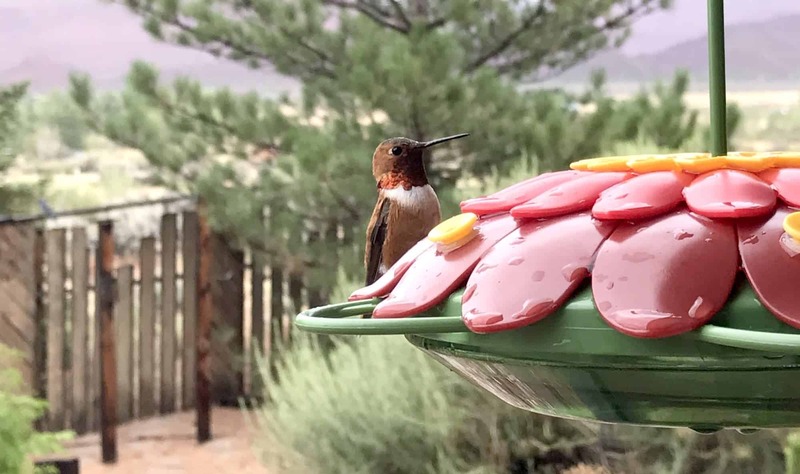 Around late July, another species arrives: the Rufous hummingbird. Quick research suggest why: the black-chinned hummingbird travels from northern US/southern Canada to winter in Mexico, while the Rufous hummingbird starts its journey much further north, around Alaska. As it makes its way to Mexico it stops for a bit in Castle Valley. 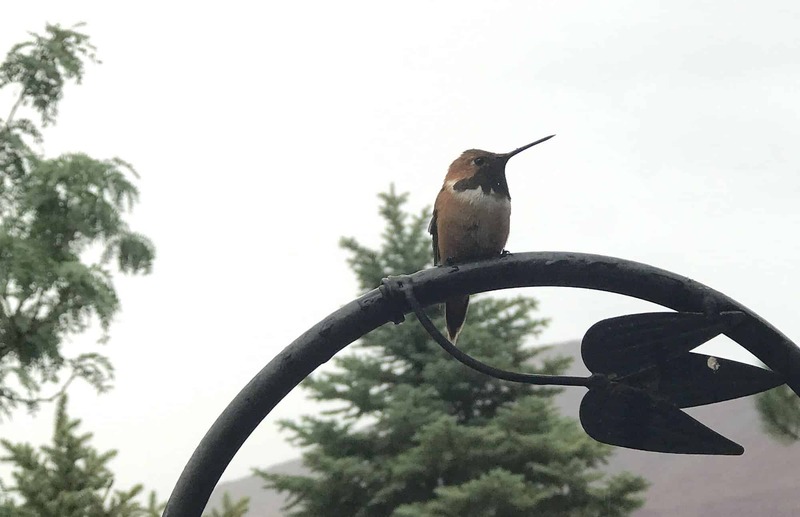 Yesterday following a rain storm, I went outside to try and snap a few pictures of the Rufous hummingbird–as I have taken several of the black-chinned. My iPhone camera did all right, but many of the shots (of the unmoving, perched bird) were blurry. Some day I’ll get a better a camera.